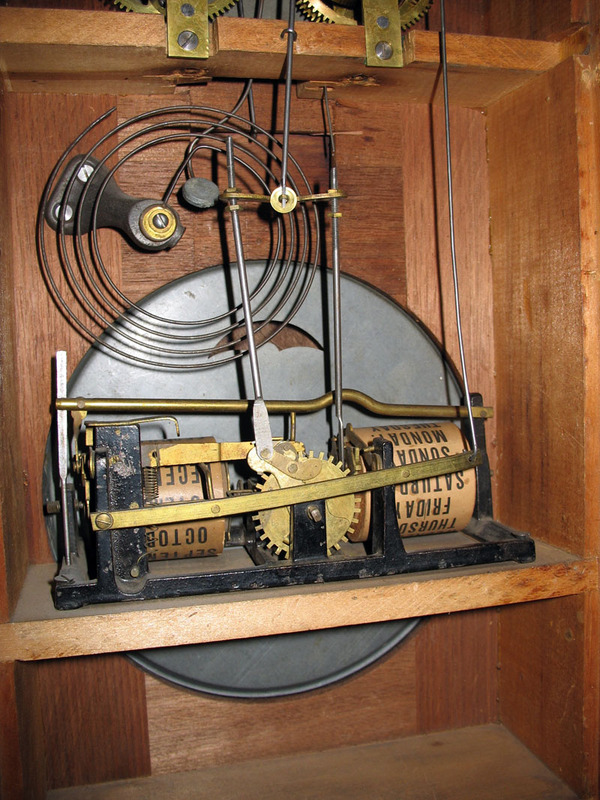 Pictured here is an excellent example of an Ithaca Calendar Clock Company Model No. 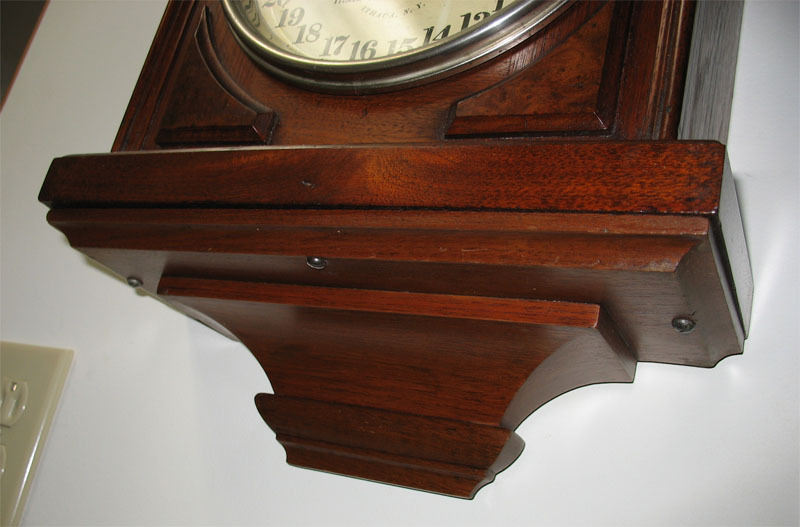 6 “Hanging Library.” This was a transition model between the earlier “single finial” variant and the more frequently seen “carved top” style. There are features characteristic of the later model (such as the use of burl walnut veneer on the panels) melded with characteristics of the earlier type (like the arch top, bottom trim, and pendulum door style). The carved tops of transition models were executed in a simpler style than the later variant. The black walnut case veneer is complete and intact. The detachable bottom bracket, also original, allowed conversion to a shelf clock if desired. The backboard is original to the case with repair dates. Case and bracket retain their original finish. 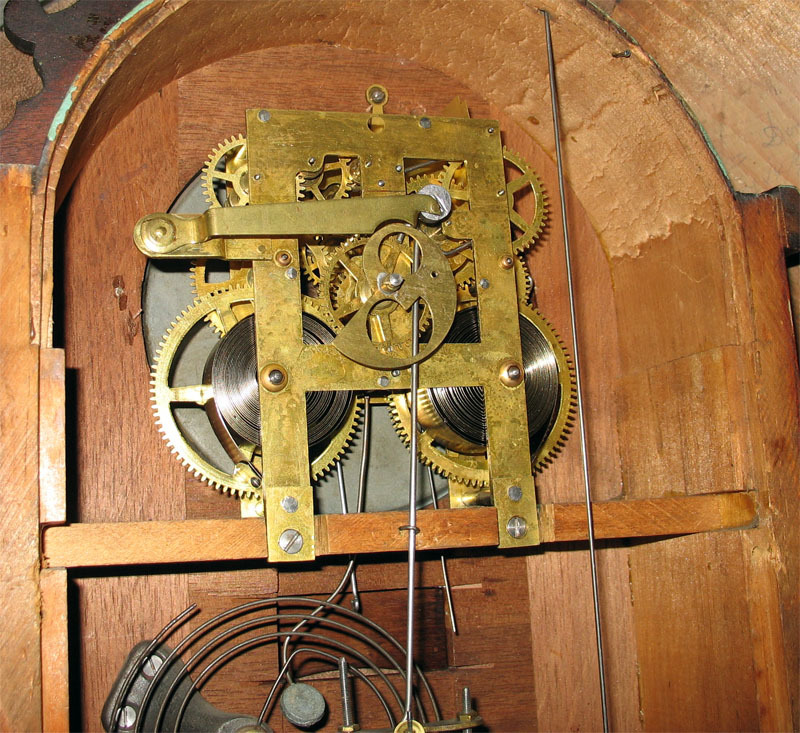 The eight-day hour-striking Welch-signed movement (at right), Horton perpetual calendar mechanism, dials, and bezels are original to the case. The calendar rollers are original, with no losses or nicks. This particular clock has nickel-plated bezels. 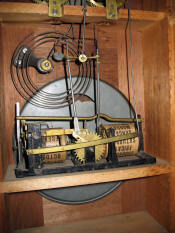 The original nickel-faced bob can be seen through the "umbrella" opening in the calendar dial. The hands are original, as are both glasses. 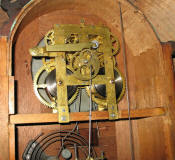 There is a 7” calendar dial and a 5” time dial. 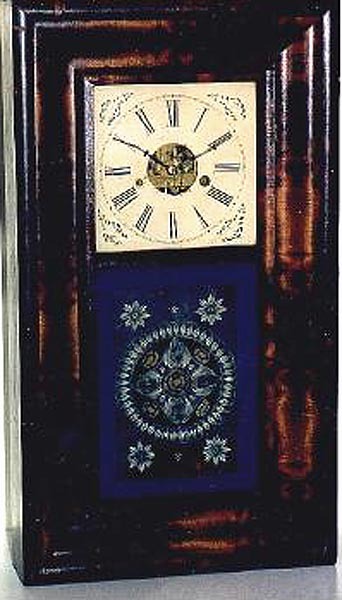 See also Miller's Survey of American Clocks: Calendar Clocks, page 51, for an example of the shelf version of this unusual clock, which is ready to hang and enjoy in your home!